The officials and partners of National Mission for Clean Ganga (NMCG) came together on one platform today, to make personal donations to the Clean Ganga Fund on a voluntary basis. Officials from various executing agencies, stakeholders and aartners with Team NMCG including State Bank of India, Union Bank of India, Engineers India Ltd., WAPCOS, HDFC etc contributed to the Clean Ganga Fund at an event held at the NMCG headquarters. 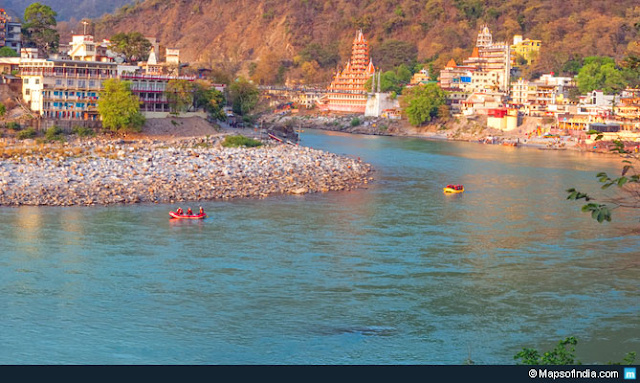 The Clean Ganga Fund was established as a Trust under the Indian Trusts Act, duly approved by the Union Cabinet and with the Union Finance Minister heading the Board. DG, NMCG acts as the CEO of the Clean Ganga Fund. Domestic donors to the CGF are eligible for 100% income tax exemption under Section 80 G (1) (i) of the Income Tax Act 1961. Contributions to CGF also fall within the purview of CSR activity as defined in Schedule VII to the Companies Act, 2013. Contributions to CGF are being received in its current account with the New Delhi Main Branch of the State Bank of India. The total fund available in CGF as on date is Rs. 269.12 crores. Out of this, projects worth Rs. 203. 91 crores have alreadybeen taken up in areas such as afforestation, treatment of nalas through in-situ bioremediation process, redevelopment of ghats and crematoria and provision of amenities. It is most important to see more and more people contributing towards Clean Ganga Fund which would bring more people participation and ownership towards this great objective. It is noteworthy that contributions from individual donors is about Rs. 10.92 crores so far. Various modes have been facilitated now to make easy for individual contribution. In today’s event, a total amount of Rs. 2, 65, 879/- was donated to the Clean Ganga Fund. 70-80 NMCG officials along with 30 officials from partner organizations contributed to the fund. Collections were made through two SBI ATM vans stationed at NMCG headquarters, four payment gateways and through QR codes to facilitate payment through any gateway. Donations to the Clean Ganga Fund can be made through online payment gateway by logging onto www.cleangangafund.com and scanning the QR code on the website, individuals can make payments through BHIM UPI/PAYTM app (that can be easily downloaded from Google Playstore). Donations can also be made through Cheques/Demand Drafts in favour of ‘Clean Ganga Fund’ A/C no. 34213740838.